I felt that this Saab really deserved an entire post of its own, after all it can easily be described as the undisputed Godfather of Turbos. Launched in the hedonistic 70’s, the 99 Turbo was literally one of the first cars to combine safety and exhilarating turbo performance, it singlehandedly put Saab on a legendary pedestal, which still holds strong today. This one, in the only acceptable Turbo colour – black, was quite rightly getting a lot of attention at SaabFestUK, a perfect example, unmolested and seemingly unchanged since the day it drove out of the Saab showroom, paintwork immaculate, all accessories intact including some super cool Bosch spotlights and an interior that screamed ‘jump in and drive me’. I felt myself gravitating to this car over and over again, it’s owner should be hugely proud and also feel just a little bit privileged to be the guardian of such a legendary car. It’s been a while since my last post, sadly, motivation has seemed to be rather low, but in the meantime, the 900 has been well and truly put through it’s paces. We’ve done almost 3,000 miles in it since it’s recovery, everything from driving lessons to road trips to Wales, it’s sat in heavy traffic, darted along winding country roads and cruised happily along motorways. For the life of me I can’t understand why more people don’t embrace older cars as daily drivers, the 900 is ridiculously comfortable, it has electric windows and a quiet sunroof, it’s well mannered around town and has a gorgeously distinct burble when you put your foot down, it also commands quite a bit of attention. Young and old just can’t help giving it the thumbs up, from a bunch of hipster skateboarders to a very smart gentleman who couldn’t resist telling me how much he loved Saabs – he’d owned a few in the past and longed to own another. The work continues though, the sunroof leaks when it rains heavily, the windscreen washer pipes have become brittle and keep falling off, and the new Turbo cluster still isn’t quite right, what I mean by that, is that smoke starts pouring out if I turn off the lights, and there’s no illumination at night. We’ve also discovered the passenger side arch still has some rust that needs sorting, but lets face it, it doesn’t stop you driving and things just take time. I’ve managed to source a set of roof bar towers and will be attempting to find some nice spotlights to keep the ‘Swedish Wilderness’ look on track. The search also continues for something aptly unique to replace the 9-3 Aero convertible, although I’ve been wishing I hadn’t sold the 9-5 Hirsch, that was pretty rare. Over 3 months ago I purchased what looked like a very nicely maintained 900 classic in Scarab Green, all I can say is, looks can be deceiving. It’s previous keeper had owned it for a number of years together with another 900 classic and had come to a point where he couldn’t maintain both, so advertised this one for sale. On the surface of it, it drove beautifully, had reasonably tidy bodywork and a decent interior. We collected it from Birmingham and had a pleasant return journey. Morning came and I went outside to find 2 flat tyres and a flat battery, hum, not a good start. I got the foot pump out, boosted the battery from the 9-3 convertible and got it down to Malcom Miles as fast as I could – until a few weeks ago, that’s where it’s been, intensive care for Saabs. Although it was pretty solid overall, it had rusted in pretty much every normal area these classics go in. After nearly £500 on welding alone, including a partial front end rebuild, it was given a full waxoil and finally feels as though it’s back to its tank like solidity again. Although it already seemed to drive beautifully, it’s undergone a full and thorough service, with new radiator, brake discs and pads, a full stainless steel exhaust, thermostat, correct battery, hoses, wires and numerous other items to ensure reliability for years to come. 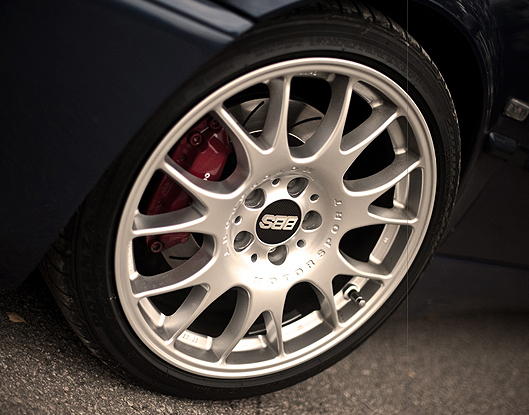 We’ve sorted the stance too, Abbott Racing lowered springs and a set of Bilstein shocks. 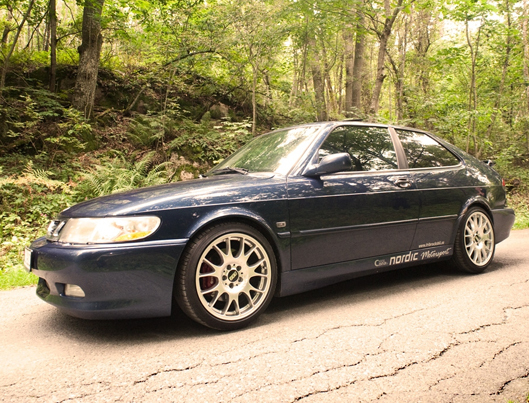 This is never going to be a perfect example of a classic 900, but I wanted to keep another great Saab on the road, an everyday driver that wore its battle scars with pride, a Saab Outlaw shall we say. I’ve gone for a set of 17 inch graphite, 5 spoke alloys from Driftworks with slightly stretched Falken rubber, we’ve changed the dash over for one without a million cracks and also managed to pop in a full on Turbo cluster with working Turbo gauge. In my normal excitement I also purchased everything required to convert it in to an Aero spec T16S – body kit, Turbo, ECU, Intercooler and even the Turbo badges, but as this is a father and son project and will be enjoyed by us both, we’re leaving it off until his initial new driver issues have been overcome, an LPT is plenty enough for now! I had secretly kept a set of 9000 Aero front seats to pop in, but the grey velour ones already fitted are ridiculously comfortable and are pretty much in perfect condition, so they’ll remain for now. Next up, I’m currently searching for an old school roof rack and rear window louvers, so if anyone knows of some available, please, please give me a shout, i’d be forever grateful. *Photos courtesy of my iPhone 6 only (sorry). Always interested in searching out the cheapest and most expensive Saabs for sale and this is a really fantastic example from Germany. Simply described as ‘wonderful Saab 900 Turbo in Amaranth Red metallic clearcoat with Bokhara red velor deluxe carré interior . The vehicle has been extensively renovated’ from the pictures, i’d tend to agree. With just 117,000 miles on the clock, manual gearbox, super cosy interior and a sunroof, this once really would be a keeper, even at the asking price of €15,800. Saab have become renowned for their innovations, innumerable contributions to the automotive world that can be found in almost any marque. 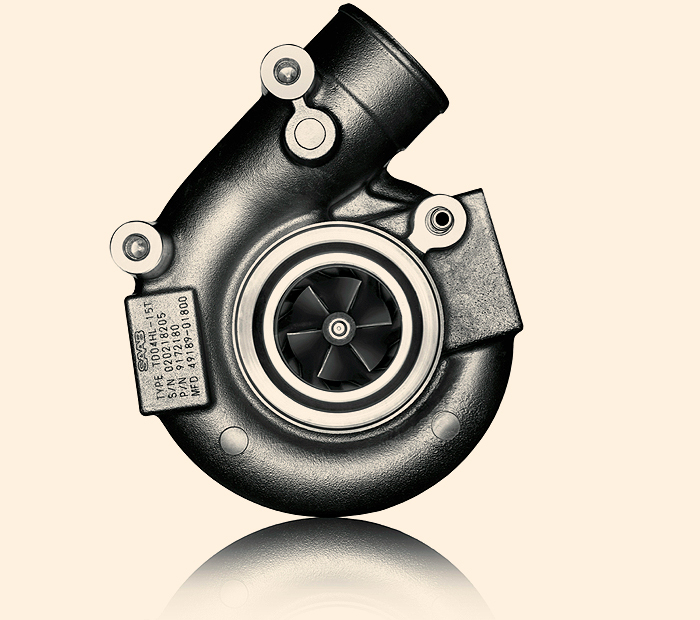 Arguably their greatest innovation has been the inspirational use of the Turbo. I’ve just read a recent article over on Automotive News entitled ‘Why Turbocharger fans owe Saab a thank you’. 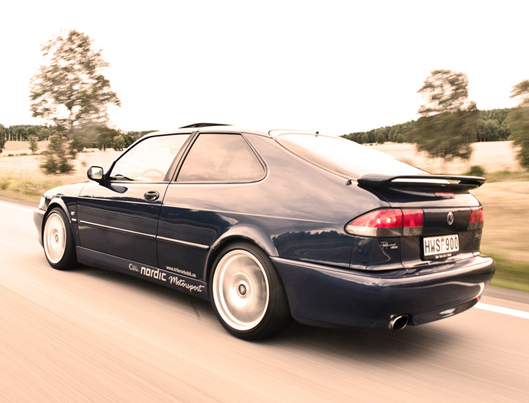 Saab’s contribution to automotive history is the hottest component today: the turbocharger. To give you a good idea of just how important the turbocharger has become: Two weeks ago Jaguar Land Rover opened a plant in England that will build approximately 500,000 petrol and diesel engines per year. Every single one of those engines will have at least one turbocharger bolted to it. Steve Rossi; Saab’s PR director from the 80s, added “Saab will be recognised as an innovator and turbocharging will be a part of that. 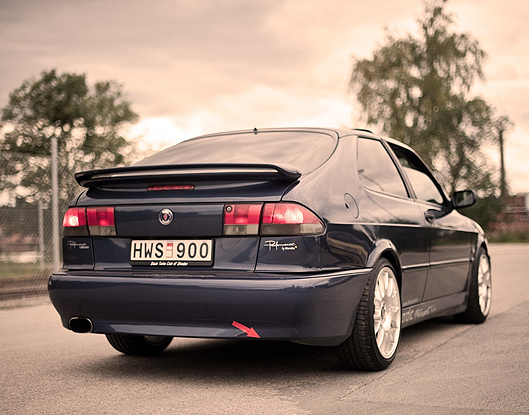 I see turbocharging as one example of Saab’s forward thinking”. I wholeheartedly agree. Read the article. 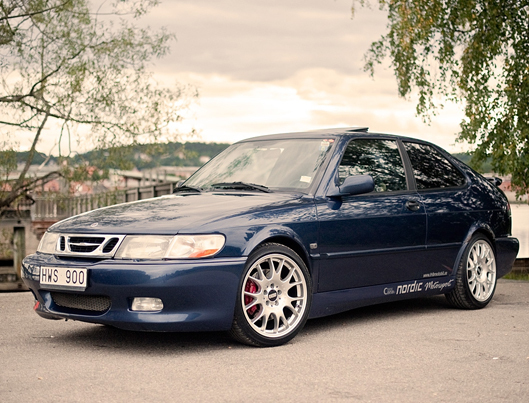 A few days ago I uploaded a picture of a stunningly handsome Saab, I thought it may be a modified new generation 900 Turbo but wasn’t 100% sure, now I know. I haven’t found out much more about the car, but happened to come across a load more images of it and had to share them. It seems like it’s a pretty special 900, heavily modified by Nordic Tuning, Sweden, it features their full works Nordic Extreme make over, my all time favourite BBS Motorsport alloys and a seriously purposeful boot spoiler. I’ve featured a few Saabs tuned by these guys before, but getting the feeling I need to do more research – are they still tuning Saabs, do they ship their kit to the UK and do they do one for a 160,000 mile TiD Vector SportCombi? I bet they do.